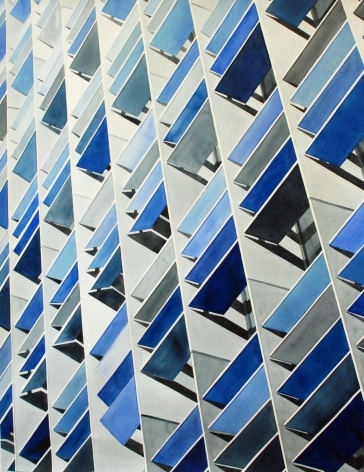 AMY PARK's large-scale watercolor paintings take Modernist architectural facades as their point of departure. 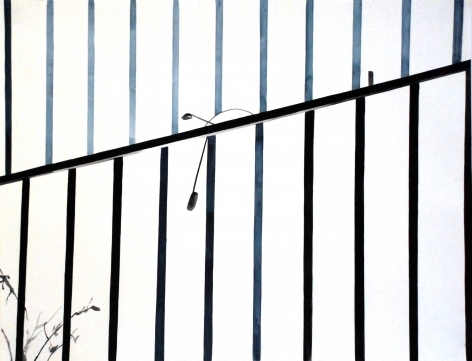 Grids are laboriously constructed through repetitive pencil marks and precise watercolor strokes, creating enormous, optically charged fields that mirror the order, layering, scale, and density of information of the urban experience. 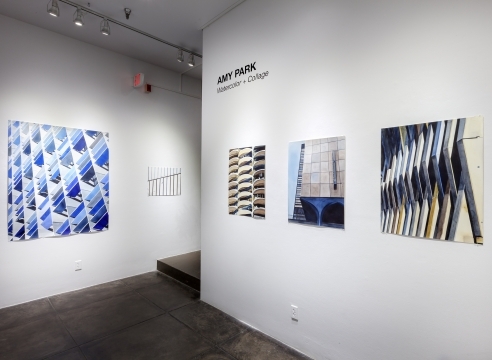 Amy received a BFA and an MFA from the University of Wisconsin-Madison, and also studied at the School of the Art Institute of Chicago and Ox-Bow Summer Art School. She was a recipient of a Sharpe-Walentas Space Program Award in 2007-2008, and an Artist-In-Residence at the Serenbe Institute in 2012. 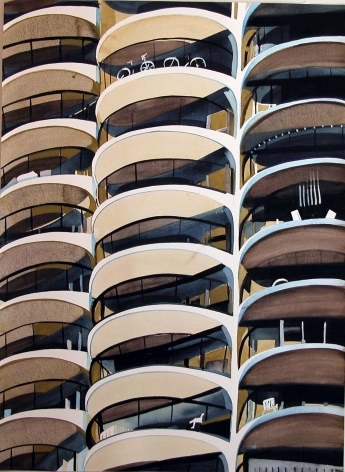 Her work has been exhibited widely in the US, including Morgan Lehman Gallery, New York, NY; Gagosian Gallery, Beverly Hills; Steven Harvey Fine Art Projects, New York, NY; The Suburban, Milwaukee, WI; Project Row House, Houston, TX; The Poor Farm Experiment, Manawa, WI; and Kopeikin Gallery, Los Angeles, CA. 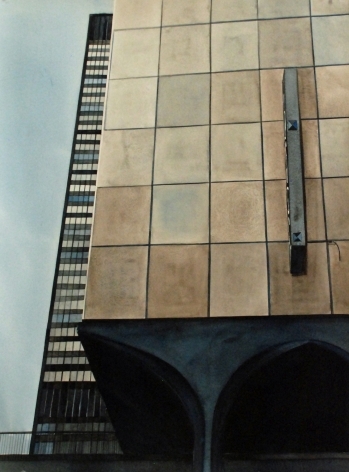 Her work is in the permanent collections of Fidelity Investments; New York Presbyterian Hospital; The Cleveland Clinic; Deloitte and Touche USA; Microsoft Corporation; The College of DuPage; Memorial Sloan Kettering Cancer Center; and Drawing Center’s Artist Archive at the Museum of Modern Art. She lives and works in Long Island City, NY with her partner, artist Paul Villinski and their 6-year-old son, Lark. Watercolor, architecture, good paper, straight lines, looking at abstract paintings, color theory, composition, buildings I see every day and ones I have never seen, yoga, walking through new cities, my camera, museums…these are all things that are important to me and my practice. I am fortunate to live in New York City; it is a place that I love. The city is visually fascinating to me. 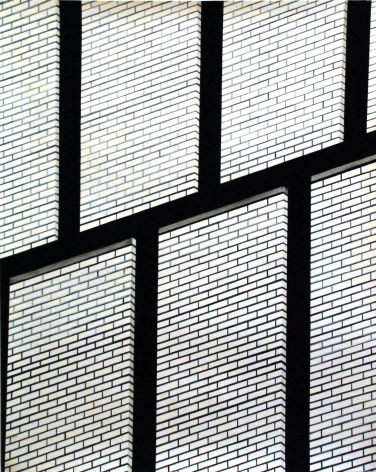 I never tire of looking out the window of a cab or looking up while walking down the street. 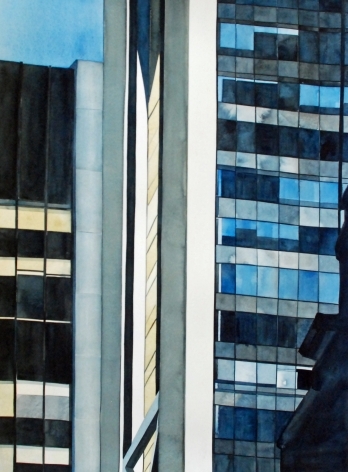 Buildings, cranes, trucks and streets all contribute to the abstract qualities found in cities all over the world. 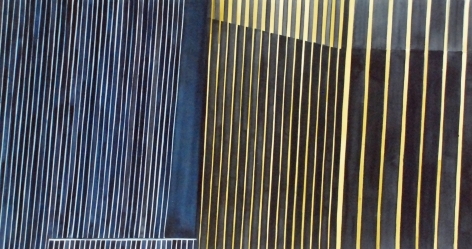 The lines, repetition, color and shapes pull at my attention. My desire is to take what I see and show its inherent beauty. I am not interested in showing the decay or the toughness that is part of city living. As a person who chooses to live in a city I know the contradictions, but I choose brilliance. 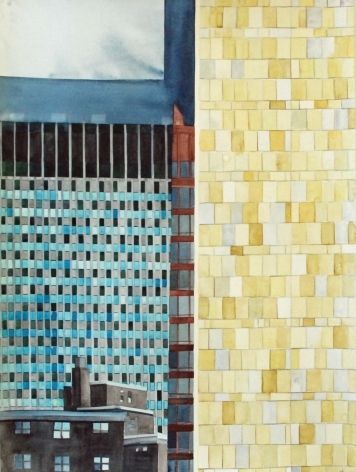 With architecture and abstraction as my subject matter, I create paintings in watercolor. This choice is out of my love for the medium. I like how unpredictable it can be if I let it, but I also love how I am able to paint a straight line. 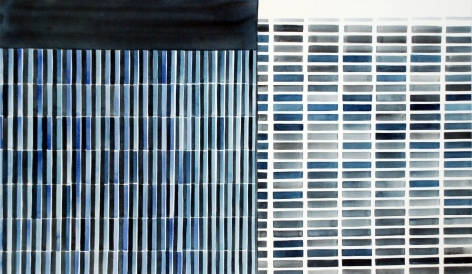 Every painting requires a meditative state where I just paint the lines building a building on the paper.